A marriage which has already been solemnized can be register either under the Hindu Marriage Act, 1955 or under the Special Marriage Act, 1954. The Hindu Marriage Act is applicable in cases where both husband and wife are Hindus, Buddhists, Jains or Sikhs or where they have converted into any of these religions. Where either of the husband or wife or both are not Hindus, Buddhists, Jains or Sikhs the marriage is registered under the Special Marriage Act, 1954. NRI Marriage– in our Punjab, out of the 5 marriages 1 is NRI marriage, in this marriage either bride or bridegroom was NRI and he/she lives in foreign country and also wants to bring his/her spouse with foreign. But when they solemnized the marriage in India and want to live in other country then one problem is create for the spouse that law of the other country not recognized the marriage. In other word we can say that they don’t say this marriage to valid in absence of the any marriage certificate given by the recognized authority of the concerned government. Runaway Marriage- Today’s world is the youth world and youth never ready to listening the others. In our society the ratio of the love marriage and run away marriage (bhag ker shadi)is day by day increased and solemnized the marriage in any temple and Gurudawra in the absence of any relative or friend. Because most of the marriage were solemnized without the consent of the parents. However, all for this remedy is different. But one another problem is, sometimes after the marriage couple realized that they solemnized the marriage too early, they are not for each other or sometime money problem. Then one of the either boy or girl trying to escape from this marriage for the giving the reason that there is no valid proof of marriage or sometimes parents of the boy or girl denying this marriage or trying perfume the marriage of the boy or girl. Many people are unaware about the process of Marriage Registration in Chandigarh. Due to this unawareness, people don’t dare to go for marriage registration. However, the procedure of Marriage Registration is very simple. Marriage Registration has its own benefits. The biggest benefit is that you will have a valid document that you can produce for official reasons to show that you are married. Many people do this so that they can have the document which confirms the couple as married. It can come handy for various countries. Marriages To Be Solemnized Special Marriage Act 1954. Applicant has to apply in the Prescribed Form. The age limit for Bridegroom 21 years and Bride is 18 years. 1. Application to Be Made In the Prescribed Form Duly Signed By Husband & Wife. 2. Marriage Should Have Taken Any Place In The India And Both Should Be Living Together In Marriage Officer Jurisdiction. 3. Bride and Bridegroom Age Proof (Leaving Certificate or Passport Or Birth Certificate Or Domicile Certificate Or SSC Board Certificate). 9.Two witness from the both side. B) Under Section 16 of Special Marriage Act 1954. 2. Marriage Should Have Taken Any Place In The India And Both Should Be LivingTogether In Marriage Officer JurisdictionUnder U/S 16 Of Special Marriage. 3. Application Should Be Given In 30 Days Advance. Both must of them Hindu. 3. Bride and Bridegroom Age Proof (Leaving Certificate or Passport Or Birth Certificate Or Domicile Certificate Or SSC Board Certificate. 4. Bride & Bridegroom Residential Proof (Ration Card Or Passport Or Election Card Or Light Bill And Telephone Bill Of Own Name). 5. Passport size Photograph of Both Bride and Bridegroom. 6. Photograph of ceremony of photograph. 7. Invitation Card of marriage. 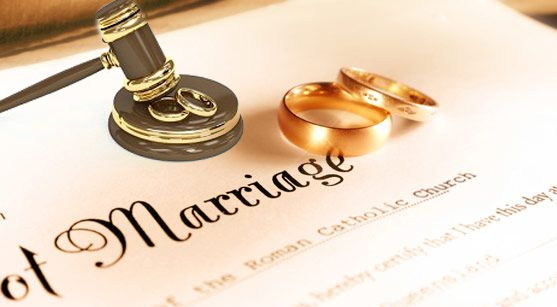 All the above mentioned procedure, one another procedure is also available for the needy couple those are can’t follow the procedure in normal way and require the marriage certificate is as soon as possible.